Happy Friday Everyone! Today is an especially great Friday because today I am graduating from college! I am officially a college graduate, and a BYU alumna! So crazy. So I'm going to keep it short and simple today with this outfit post. 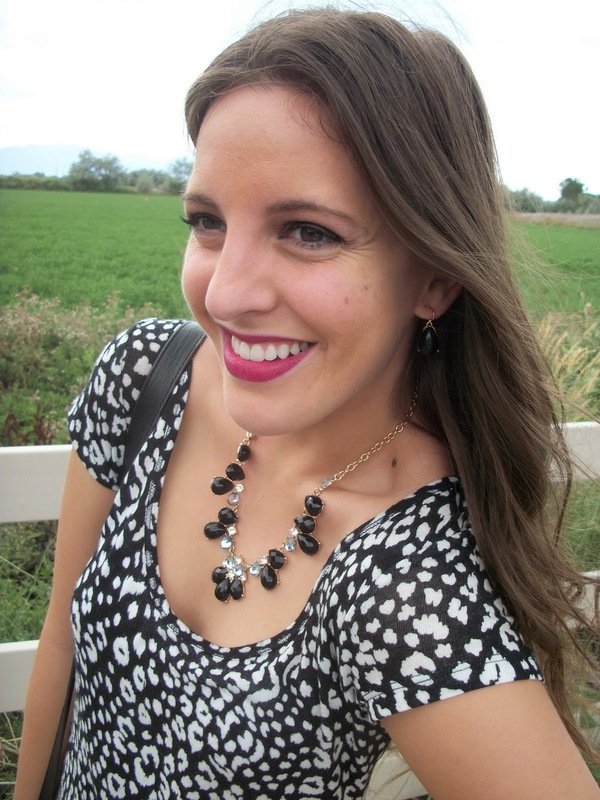 I love the simplicity of this outfit with the gray and black, and with the black jeweled necklace! I love this necklace so much, and the fact that its black is great because I can wear it with so many things since it goes with so many different colors. Make sure to enter the Paypal Cash Giveaway, there's only a couple more days left to enter!!! You can enter here. You can never go wrong with grey and black! Love! Your sandals are super cute! Thanks for linking up for Favorite Fashion Friday. Hope to see you back tomorrow!